TWO young entrepreneurs, Nicholas Tan and Catherine Lingyi Li, are turning the famous Highgate into Africa’s only home and decor mall creating more than 2000 jobs and 250 international and local brands will occupy the revamped mall, named Home Africa. The project the two say the project is a catalyst in the expansion and facilitation of trade between China and Africa. Home Africa Mall will be the first one stop wholesale distribution hub for construction and home-related products. 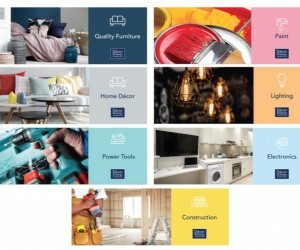 Lingyi Li who is the Chief Marketing Officer for Home Africa Mall, is behind the revamping the image and branding of the consumer shopping site to fit the new international home and decor concept. Nicholas Tan is the Chief Executive Officer. She says: "The role has been very exciting and terribly challenging because Home Africa Mall is the first of its kind in the continent and it has been wonderful working with the Chinese Ministry of Commerce to create a novel, very modern and chic East Meets West concept." Lingyi Li says Home Africa Mall will serve as an international trading hub between China and Africa so getting it right, within the constraints, is critical. Lingyi Li has a colorful background having attended the University of Toronto, studying media, and subsequently Parsons School of Design. She has also worked in New York, under internationally renowned designer Naeem Khan and subsequently at the Guangzhou Broadcasting Network. Lingyi adds that she has been a contributor of the Bongi Ngema-Zuma Foundation, which seeks to empower women and children in South Africa through raising awareness of health and education. Tan who is 27 years old also has big dreams for the Home Africa says the mall being the first of its kind in the country and continent as a whole its unique offering will make a good value proposition to businesses and consumers. “We had the benefit of converting Highgate Mall into this fantastic mall that is a one-stop for everyone. We have all home and décor products, from construction to home-related products,” he says. Tan is not concerned about recent growing concerns about an over-saturated retail market due to other ongoing shopping malls. Over the past 10 years, to the end of 2015, retail property delivered an annualised total return (income and capital growth) of a substantial 16%, as measured by MSCI’s independent property databank index. However, ongoing pressure on consumer spending amid SA’s ever-growing pool of new shopping-centres is starting to eat into profit margins. Small businesses in the construction sector are also set to receive a massive boost through discounted prices on materials through a partnerships between the Chinese commerce ministry and the management of the new specialist mall, Home Africa. Tan says the SMEs will receive assistance on product sourcing, price negotiations, quality control and supply chain costs with Chinese suppliers. 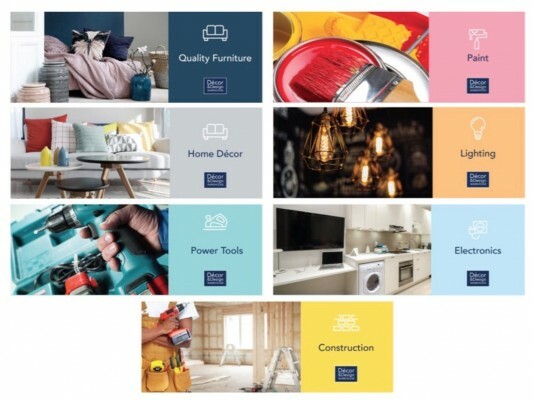 Buy n Build, the international building materials supplier, is investing R500m and will anchor the new Home Africa mall.